Our Deluxe Suites reflect the warmth of Java Island with a collection of hand-carved furniture in Joglo style made of old recycled teak wood. 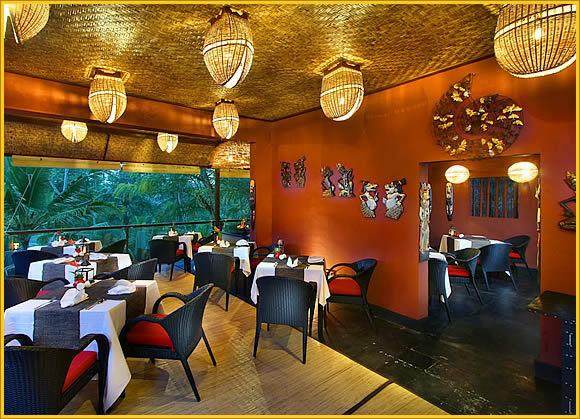 The extensive use of indigenous timber and touches of local artistry soothe the senses for heightened relaxation. It comes with a private terrace and a spa-inspired en-suite bathroom. All our Deluxe Suites have access to the rooftops swimming pool as well as Tamiang and Oishi Tei restaurants, both offering a fantastic view on the forest/Jungle. Our Grande Deluxe Suites reflects the warmth of Java island with a collection of hand-carved furniture in Joglo style made of old recycled teak wood. 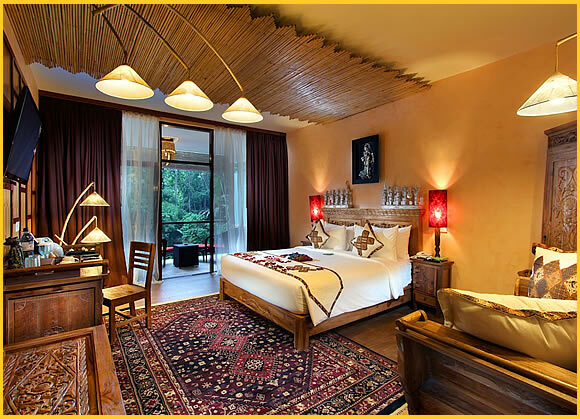 The extensive use of indigenous timber and touches of local artistry soothe the senses for heightened relaxation. It comes with a private terrace and a spa-inspired en-suite bathroom. All our Deluxe Grande Suites have access to the rooftops swimming pool as well as Tamiang and Oishi Tei restaurants, both offering a fantastic view on the forest/Jungle. 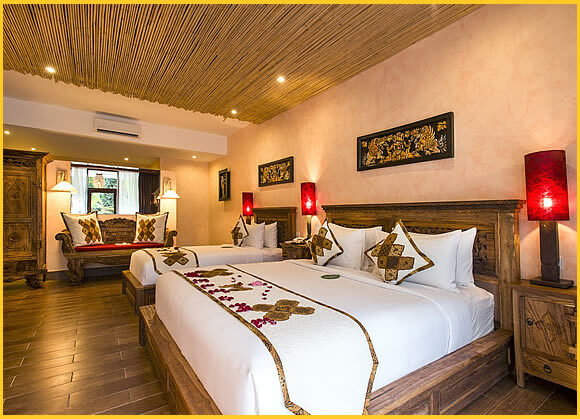 Among the largest suites in Jungle Retreat Ubud Providing a comfort luxury, this family suites featuring beautiful decor furniture, 43inc LCD TV, wardrobe, can accommodate 5 pax comfortably, ideal for a family getaway in the islands of gods. 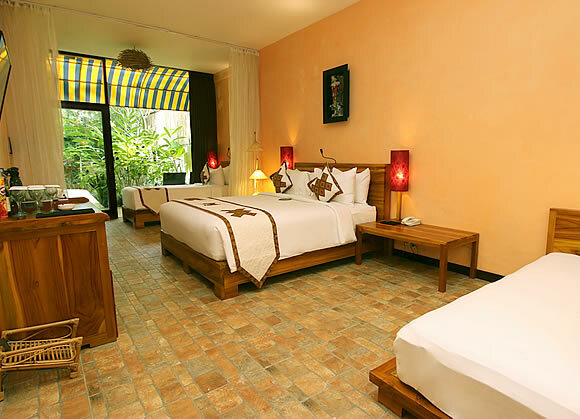 This room category offers a view on the Jungle. You can reach the building within a 5 minutes walk from the main pool.